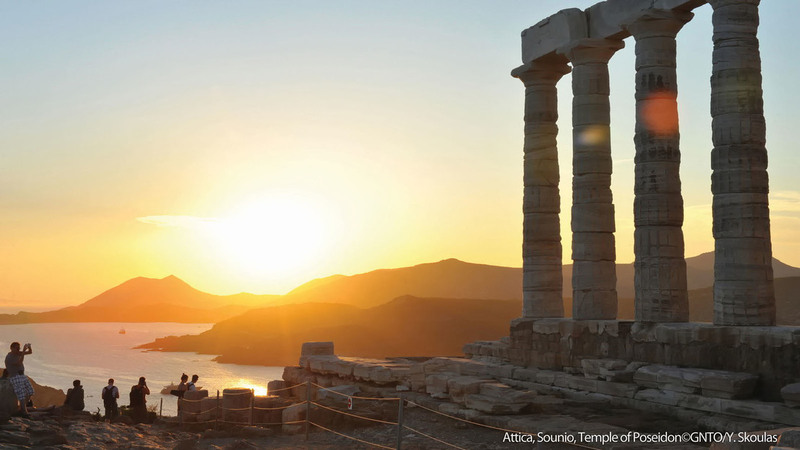 Experience the stunning South coast of Attica on this Cape Sounion tour and visit the world-famous Temple of Poseidon. Book now! Glyfada, Vouliagmeni & Varkiza, some of the most beautiful suburbs of Athens. Then we finally reach the most Southern point of Attica, Cape Sounion, which earliest literary reference dates back to Homer's Odyssey. There the white marble pillars of the Temple of Poseidon standing on the promontory make up a dreamy frame for this wonderful landscape. As one of the major monuments of the Golden Age of Athens, its remains are perched on the headland, surrounded on three sides by the sea. The temple in Doric style from which it is now preserved almost only a 9 columns side and 6 columns side, is still able to show the grandiosity of greek architecture. Probably destroyed in 480 BC by Persian troops during Xerxes I's invasion of Greece, it was rebuilt from Pericles, whom also brought the Parthenon back to life. Its imposing marble columns were even forged by Lord Byron in the early 1800's, leaving his signature on this heavenly site offering a unique view. In fact, when the weather is favorable and the sky is clear, it is possible to admire more than 7 islands, to Peloponnese and Kea Island. After visiting the Temple of Poseidon, you have time to walk at leisure on the rocky promontory of Sounion and explore and enjoy this unique landscape at your own pace. Enjoy all the trip, from the drive along the coast to the Cape Sounion, the Temple of Poseidon and all the marvelous landscape made up by all the little island of the Gulf. Be punctual in order not to miss this unique idyllic experience, nurture your imagination and eyes with this Homeric venue.